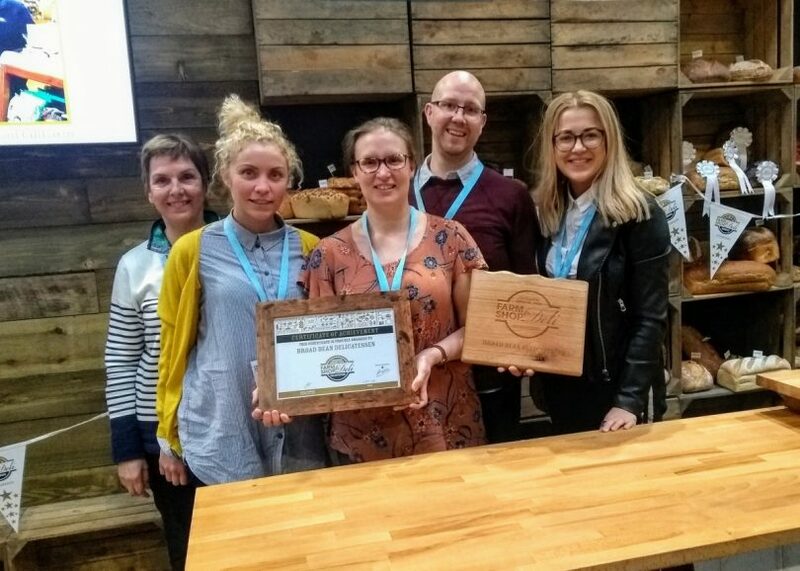 Broad Bean, a family run deli in Ludlow has won Delicatessen of the Year at this year’s Farm Shop & Deli Awards held in Birmingham earlier this week. The Awards, in partnership with The Grocer, are highly respected in the food industry for supporting, and championing, the UK’s independent, specialist retail market. Broad Bean beat off competition from top delis across the country including the esteemed London delis Bayley & Sage, Giddy Grocer, Guzzl and MacFarlane’s. Alice and Ian Evans took over the long-running business on Ludlow’s Broad Street in May 2016, revamping and reviving the shop and focusing the shop on quality food. A true delicatessen, Broad Bean offers everything from daily staples to dinner party delights, stocking over 40 cheeses, cured meats, and antipasti, with award winning pies and fresh homemade quiche and salads from the deli counter. Before taking over Broad Bean, Ian Evans worked on the prestigious Sandringham estate as a butcher; preparing meat for royalty in residence whilst Alice was a deputy head teacher of a special school working with young people with Autism and challenging behaviour. The Evans’s work closely with both local suppliers – including McNeill’s Smokehouse, Paso Primero wines and Bennett and Dunn oils – and stockists from further afield. Last year, Broad Bean was a Finalist in the Guild of Fine Foods Shop of the Year Award 2018 and runner-up in The Observer Food Monthly Awards 2018.